Want it by Wednesday 24th April? Order within 3 hours and choose Next Working Day - Kerbside Delivery (Order Must be Placed by 2pm) at checkout. This true to nature Oak Laminate is a beautiful addition to any home; our Renaissance Barn Oak 8mm Laminate will not fail to impress! As a mid-dark oak impression laminate, you have a great opportunity to give your home a fresh, luxurious look at a great price. This floor has varied shading to make the appearance more genuine, and with natural characteristic grain and knot detailing, you will think you have a true solid wood floor in your home! 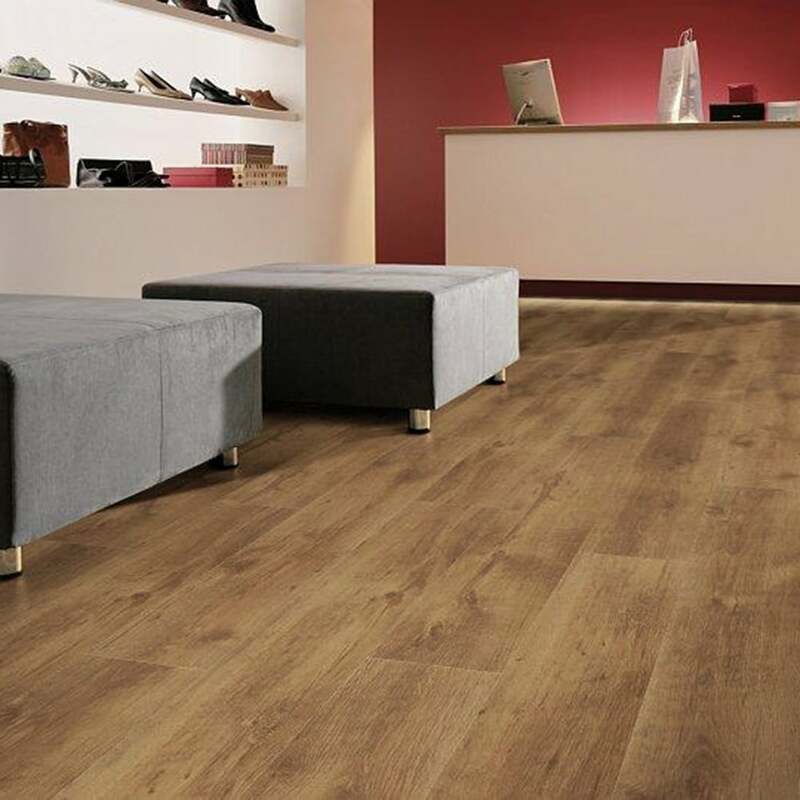 The AC4 Rating gives you peace of mind that this floor will last for years to come, and is very versatile when it comes to styling, so your home can be revamped again should you wish with a few simple furnishing alterations. With the varied shading, you can go for a darker toned theme, or a lighter minimalist one. With a darker theme, use rich browns, forest greens and reds/purples to create a peaceful and relaxing environment. Alternatively, if you prefer the more minimalist mode, use as many white furnishings as possible to create "the blank canvas" decor style. We always recommend that you see a sample before buying, so order yours today!